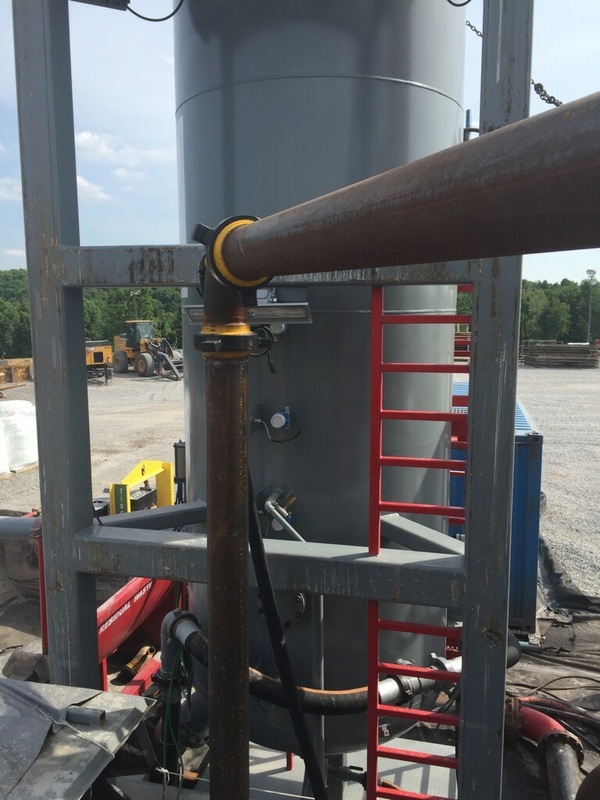 The Iron Horse Tools Shale-Gas Separator is a state-of-the-art solution for air drilling in the Marcellus, Utica, and similar formations. 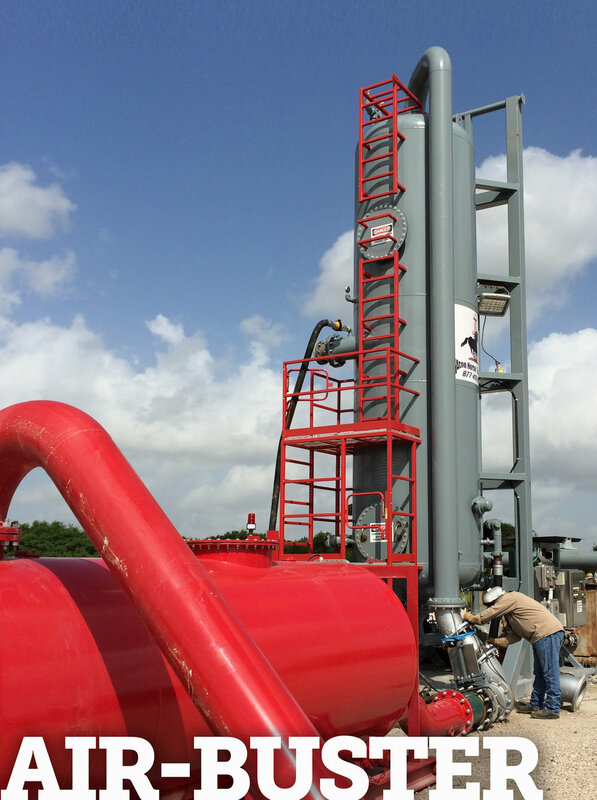 While drilling with air, all cuttings are pumped out of the wellborn through the separator to the primary shale shakers and drying shakers where the cuttings are contained in a dry, half-round tank. 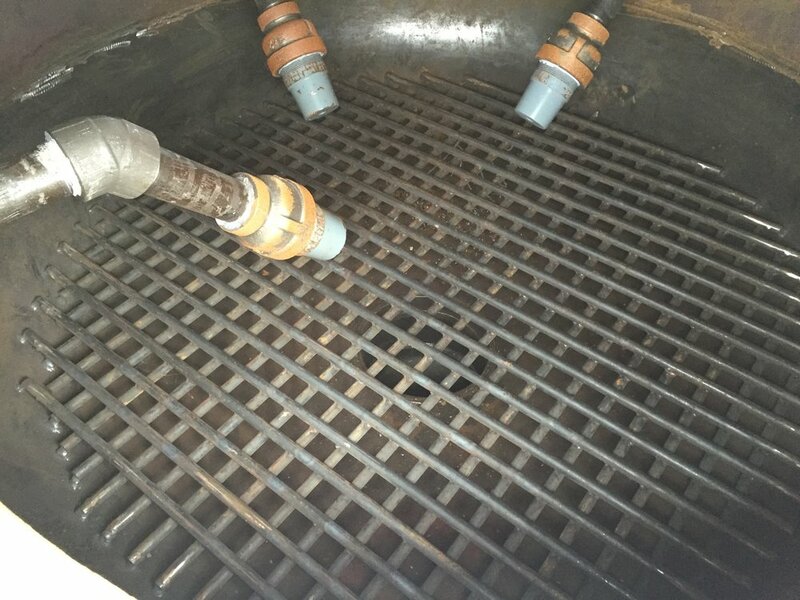 By maintaining a constant “liquid seal” in the separator, air and gas are removed quickly through the ventline and out through the flarestack. 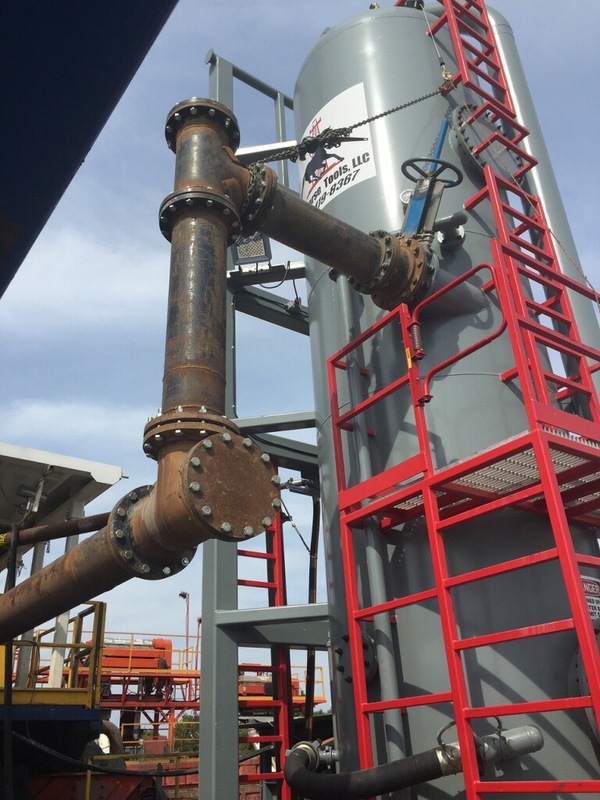 This allows only water and cuttings to be discharged from the separator through the six-inch flow line to the possum belly of the primary shale shakers, then onto the drying shakers. The liquid seal prevents air and gas from being discharged over the shakers or in the backyard, therefore eliminating any chance of a flashfire. By discharging cuttings directly onto the shakers/drying shakers, there is a significant reduction of solidification material needed. With dry cuttings and a reduction of mix-off materials, the total tonnage of the cuttings hauled off is significantly reduced, as well as the environmental footprint in the landfill. A quick look at the patented Iron Horse Air Buster as it drills in the Utica. The Iron Horse Tools system operates and maintains a constant liquid seal by means of electronic level indicators and a VFD (Variable Frequency Drive) which automatically adjusts pump speed to regulate fluid level while drilling on air. When air drilling operations start, our vessel is already running. 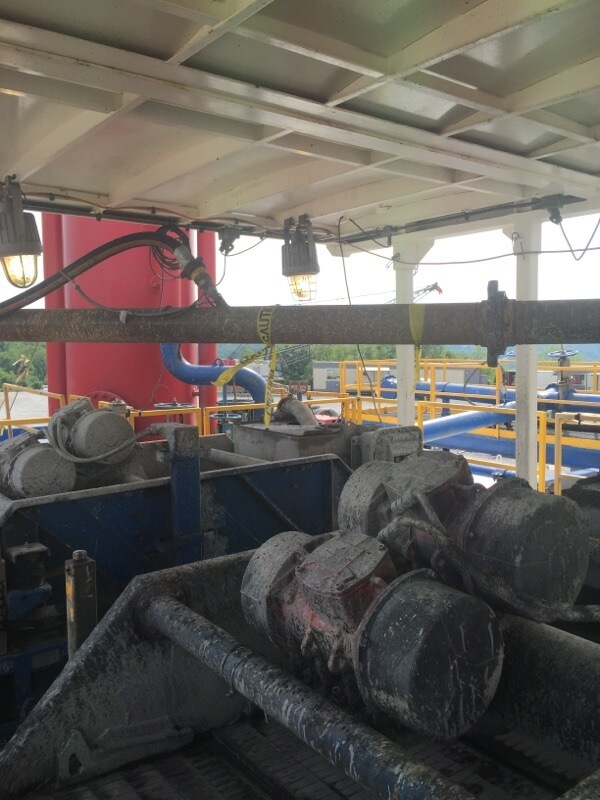 We have a pump feeding water from the rig pits to the system and a pump discharging water from the system back to the rig shakers. Three (3) one-inch nozzles create a hydrocyclone within the bottom of the vessel which eliminates the chance of packing off. Two (2) one-inch nozzles on the discharge line acting as fluid venturi to assist in the suspension of solids while pumping. The VFD-driven discharge pump will automatically adjust the speed of the pump to assure a constant liquid seal. If fluid level decreases to an unacceptable level, the pump will slow down until liquid seal is at an acceptable level. If fluid level increases to an unacceptable level, the pump will speed up until volume is back down to an acceptable level. As a redundant safety feature, the system has an automatic bypass that triggers at a high level point. This allows the discharge pump to catch up in the event that the fluid level is high in excess of five seconds. This bypass can also be used to divert sweeps once they are visibly present on returns.